Managing a coworking site is no easy task considering the multiple aspects of the business that operators must juggle. Often, resources are tight and budgets are small, forcing you to focus solely on the minimal required operational tasks. When it comes to dos-and-don’t to managing and growing your business, we’ve identified nine key steps that operators must master for a well-oiled money making Coworking operation and, most importantly, happy members. With demand increasingly driving supply in our marketplace, workspace operators must respond to the competition by having systems in place to capture and manage leads. The first step is to analyze your data to determine where to focus your marketing efforts (and dollars!). Where are your leads coming from?- SEO?- Google AdWords?- Social Media?- Web brokers (Instant Offices, SOS)?- Value Added Resellers (Davinci, Liquidspace)?- Referrals?- Walk-ins?Test each of these channels to see which are most successful and have the right CRM software in place to manage and track these channels. By tracking leads over time, you can analyze performance and allocate resources based on data-driven decisions. Operators need a plan to promote tours, manage bookings and make the experience as easy as possible for prospects. Capture as many pre-tour details as possible from a web-to-lead form, a phone booking with the receptionist or an email request. With the right tools in place, the data can sync directly to your CRM, database and sales cycle. The coworking market is more competitive than you imagine. Even if you think the space sells itself, check and double check that everything is in tip-top shape. Tailor the tour experience to exactly what the prospect is seeking. Show prospects private meeting rooms and common areas, highlighting the community as well as the work-geared atmosphere of your workspace. Follow-up is key. After the tour send a thank you note and a proposal with an e-sign agreement for easy execution. 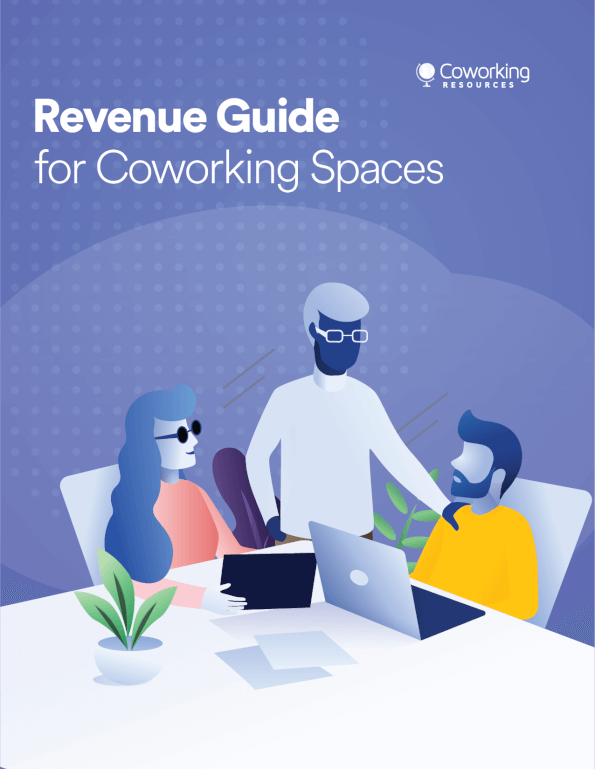 Given the flexible nature of Coworking – both in space and time – an operator’s goal must be to drive a revolving door of revenue opportunity while building lasting relationships with prospects and members. Operators can build their sales pipeline with positive first impressions, a reasonable price-quality ratio, and making it easy and seamless for prospects to seal the deal. Automating the lead-to-tour and tour-to-signature process will reduce the length of the sales process and keep your occupancy rates high. Automation makes the entire Coworking lifecycle a seamless and effortless experience for your members from day one. Be smart about managing your inventory. Use tools that allow you to see the availability of your products and services in real-time. Price your inventory accurately based on location, space density, lease duration, and office quality. Keep a keen eye on the fluctuating market and trends when adjusting your prices. Sustaining your Coworking space and keeping members happy – while maintaining your sanity – largely depends on tightly integrating each step in the management process. Onboarding new members must start from the moment a lead is captured. The information they provide to you as a prospect seamlessly funnels into your sales pipeline and, once a license agreement is signed, a new member profile is created in your management system. Everything from granting keyless entry to provisioning IT services can be streamlined with the right software integration. The alternative to this automation implies manually entering data into multiple systems, which takes up your time and resources that are better spent focused on other areas of your Coworking business, such as building community and relationships with your members. The sooner you can get your members settled into the site the faster they can get to work and start loving your Coworking space. Part of creating a positive member experience within a Coworking space is to extend additional products and services to complement basic workspace amenities. Tailoring your offering will largely depend on understanding your member community and navigating the diversity of its individuals. Request feedback and send surveys to evaluate the needs and wants of your members, gaining insight into what services they would pay for as a way for you to generate new revenue. Build trust with your members. Ensure that the workspace is a sacred place where they can run their business but also have access to a social and professional community. Leveraging technology to deliver services and afford members access to manage their own relationships and services within the workspace is a non-invasive and hassle free way to offer self-management. There’s a basic rule when it comes to Coworking technology. Keep it simple! Forget in-house software development or configuring switches or phone settings. Consult with professionals who provide custom workspace technology designed specifically for Coworking operators so you can run your space more efficiently. Integration is vital. From CRM, invoicing and billing to core services, when all systems speak to each other from a single interface, operators remove multiple layers of complexity and save time, money and resources rather than managing each platform individually. A constant doubt among Coworking operators, especially those just starting out, is whether to hard wire the workspace with traditional Cat 6 cabling. The answer is yes! When multiple members access the same Wireless network, it crowds traffic and slows speeds. 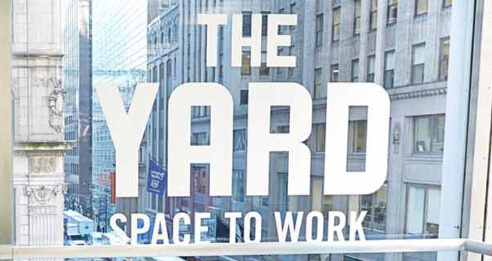 Offering wired connectivity in a Coworking space alleviates the strain on wireless traffic and improves access to services. Coworking operators can find a competitive advantage by offering more than just a workstation, an office or a hot-desk. Making more services accessible and easier to consume to members is a logical step for operators who must keep pace with the continuously blurred lines of personal and professional lives of today’s modern workers. It is key to implement the right workspace tools that put your services on display and accessible for purchase, wherever and whenever, increasing member satisfaction and revenues. An integral part of the Coworking offering is community. Operators must focus on the physical and social environment that is created in their workspace. Providing the right tools and resources for members to interact and build relationships with each other is a good place to start. Nurturing the community with events, partnerships and developing relationships will enable members to make the community their own and will see your workspace as a place they can call home. Billing and invoicing the services consumed in your workspace should be a slick and easy practice for optimal accuracy. With self-service thrown into that mix, members can view, download and manage their payments. A point of sales station at reception, whether a desktop, tablet or mobile device, makes it simple for community managers to capture charges and changes to an account, keeping invoices accurate while offering flexibility to your members. You can input discounts and ad-hoc charges all while monetizing your space and services. It is vital to get the invoicing correct on the first try so you spend less time doing bill runs, fixing billing queries and losing revenue. Securing payment for your services begins with collecting data during the member setup and generating accurate invoices. When onboarding a new member, or booking any services, capture payment details to streamline the collection process. Give members the option to setup direct payment options via ACH, Credit Cards, Check or POS and tag your customers based on their payment method. The key to cash collection is tracking all products consumed from your services marketplace, seamlessly integrating the data into your financial software and ensuring secure payment gateways are in place to authorize and process credit or debit card payments. With software automation and the right tools, you can run payment collection at the touch of a button. Coworking operators must focus on and strengthen the pillars that sustain the most weight of their business. A hefty pipeline, high occupancy rates, a flourishing member community and high-performance IT services are without a doubt the keys to running a sustainable Coworking site and if managed correctly can be the secret to scaling your Coworking business. 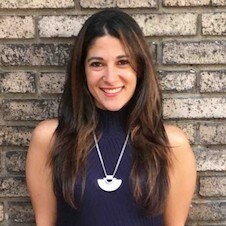 Amanda is the Marketing Manager at essensys.